These shoes are clearly exquisite, so you better be taking them home. 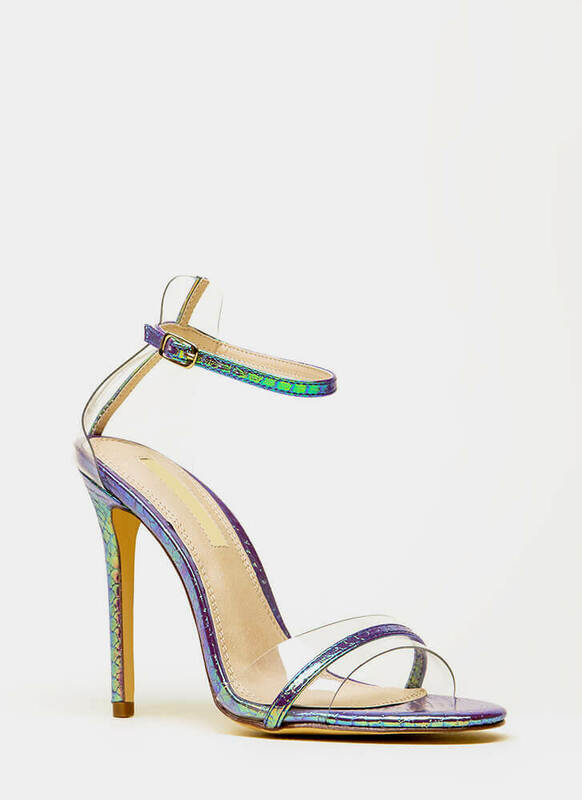 Open-toe vegan patent leather heels feature an iridescent scaled surface and super skinny toe and ankle straps atop clear PVC panels for an illusion design. Shoes are finished with exposed sides, an adjustable buckle, and a ridged sole. Pattern placement may vary.